Feudalism is, "A political and economic system of Europe from the 9th to about the 15th century, based on the holding of all land in fief or fee and the resulting relation of lord to vassal and characterized by homage, legal and military service of tenants, and forfeiture," according to Answers.com. What part of this definition isn't becoming more of a reality today? With the healthcare reforms being shoved down our throats now, we will have completed the transition to a modern feudalism. Medical insurance must be had by every person according to just about any politician, they only quibble on who pays for it. But most of the methods proposed force your employer to pay for it. Anyone getting a non-employer provided insurance will pay exorbitant taxes. The days of being self-employed are ending, except for a few rich people. Now everyone will be employed by someone else. Isn't it strange that the party that traditionally is against "big business" is destroying the ability of individuals to work for themselves? Tax laws, regulations, and social security laws have long made it hard to do, now it will be virtually impossible. For most of human history, if a person needed to earn money, he or she could just do work for people and get paid for it. My grandmother cleaned houses her entire life. She sought clients and kept them happy by keeping their homes clean. It was a hard life but she raised a very happy family as a widow for decades. I know people who mow grass for a living and start their own companies doing that. How many jobs out there are still available without licenses? You can't cut hair without a license. You can't clean houses. You can't even babysit -- not even for your next door neighbor in Michigan. Homes are owned by people, but almost always with a mortgage. This means that the idea that an individual owns his home is largely a fiction. Banks own most homes. Who owns the banks? The government? Feudalism is when the government owns the land. Student loans, mortgages, and professional licenses (in a society where even babysitting your next door neighbor's kids requires a license in many jurisdictions) are all available to the government to exact fealty and homage to the political class. So few Americans today work for themselves that it's almost quaint to suggest that people should be free to choose their own medical insurance. Almost everyone gets their insurance from their feudal lord, the corporation that is allowed to exist and operate only through the good blessings of the politicians. We no longer really understand what freedom is in this country. It's a dead idea. We think freedom means being able to listen to rock and roll music. We think freedom means being able to choose which of 700 government controlled television channels we want to watch. We think freedom means being able to get free medical care. We have no idea what freedom is. Whether the economy recovers soon or not is of little direct concern to me. That is such a petty issue compared to the horror of seeing the increasingly government controlled life that my daughter will live through. If I can't pay for private schools, then she will be allowed only speech approved by government schools, she will be subject to searches without warrants in those schools, and her life will be spent in fealty to the government through the tentacles of student loans, mortgages, and medical insurance. We used to have an intellectual class that understood that communism was bad, not simply because Joe Stalin, Mao, Castro, and the others were murderers, but because people have a right to be free. Even the most benevolent tyranny is evil. A cage, even a gilded cage, is anathema to the spirit of man. We are driving down the road to serfdom. I don't know who Col Kemp is, don't much care, but his recitation of Israel's efforts to limit its own military effectiveness to safeguard "innocent civilians" is classic. See for yourself. Western civilization has made some "laws of war" that are quite ancient, but the most powerful ones tend to stem from the Treaty of Westphalia in 1648. The gist of these laws is that civilians are to be treated as distinct from the war effort and should be spared the effects of war. War is to be waged by nation-states only, and any use of force or war actions taken by non-states is unlawful. The exception to these general ideas is that if an enemy uses civilians to shield himself and his acts of war, then those civilians are no longer protected. We have now taken this exception to an extreme at the same time that our enemies ignore it with abandon. Terrorists operate almost exclusively by hiding among civilians, knowing that we will allow others to scream bloody murder if a single person gets a stubbed toe or is even slightly inconvenienced by western military actions. The Treaty of Westphalia was an attempt to civilize war by confining it to the parties involved in the progress of the war. It's not exactly clear how the conscripts forced to bear arms are somehow less innocent than their neighbors still at home, but the theory was to protect those neighbors still at home and end the devastation brought by incessant wars. There's a big problem with this theory. In the age of kings and monarchs it may have seemed that wars were matters for the aristocracy and their pretensions to rule and intermarry and have continual intrigues, but that has never been fully the case. In all wars, the people in the end are the ones to decide whether the cost of war is worthwhile. No matter how despotic a ruler, the people can refuse to wage war just as the people of Russia rebelled against the Tsar and ended the war on the Eastern Front in the Great War. By removing the people's liability for the war waged in their name, the Westphalian order freed up despots and aristocrats to commit freely to war with no consequence to the people, unless they get drafted. We have taken this Westphalian sentimentality to absurd extremes. Col Kemp recites military restraints self-imposed by Israel that are all completely unnecessary by the letter of the law. When a belligerent uses civilians to shield its military activities, those civilians are no longer protected. Israel could destroy each and every military target or reasonably suspected military target regardless of any civilians, hospitals, or school yards in the way. And this is the inherent weakness of Western Civilization. We do allow the enemy to use schools, churches, and hospitals, as well as homes, as shields. We allow people like the Palestinians to live without intentional retaliation for the acts of war committed on their behalf. Why should any Palestinian do anything to pressure his "government" or "leaders" to behave rationally and live peacefully with their neighbors when there is no downside to waging war? War can only be waged if the populace consents. We have allowed our enemy to divorce the responsibility for their war from the populace, and neutered any incentive to end the war. The only morally correct war is total war. The people who support and allow a war in their name need to know that they are personally liable for failing to stop the war. Otherwise, we will continue to struggle against terrorists and other barbarians who can choose to be more ruthless than ourselves to prolong a war and cause our population to grow bored and discontinue support for winning wars that the terrorists start. I bought a telescope a few years ago because I've always wanted to be able to see the exciting things happening in space when they occur. But every time something has happened that would be visible through a telescope, Austin has been socked in by clouds. Today, we're bombing the moon and we're having a terrible thunderstorm. You couldn't see the moon with the best telescope known to man. Drat. I mean, what are the odds? We go months on end without any clouds at all and on the rare day that matters it's pouring rain. P.S. What a complete dud of a show that was. I wish I stayed in bed. B. Hussein Awarded Nobel Peace Prize? You've got to be kidding me. 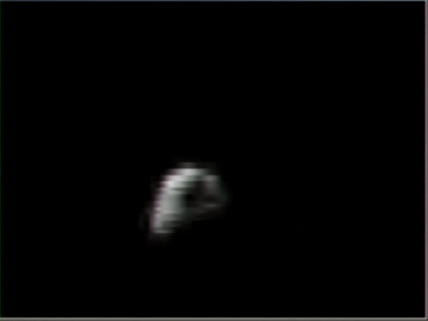 I'm awake in the early morning to watch the LCROSS mission bomb into the moon, wishing I were the forward air controller for it, and all the news stations are reporting the B. Hussein has been awarded the Nobel Peace Prize. So has the Nobel committee become so entrenched by the international socialist movement that they don't even need the man to do anything at all to award him? Yeah, this highlights the value of the Al Gore and Jimmy Carter awards. What a complete joke. Listening to B. Hussein's Oscar Nobel Peace Prize acknowlegement speech today reminded me of another person awarded the Nobel Peace Price Oscar for exactly the same reason. Neither deserved it. No one has said it more clearly and thoroughly as Charles Krauthammer. If you love this country and want to understand what's happening, read this. It is not an accident. This is planned. The article is quite long, but worth every minute of your life spent reading it and understanding it. Well, it sure took long enough and it turns out it was so easy to do. 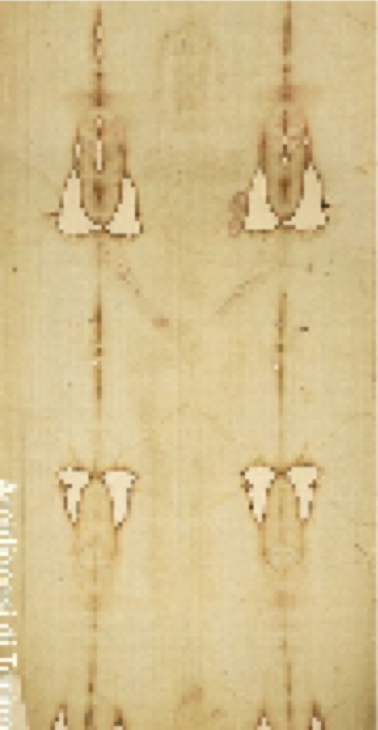 The Shroud of Turin is a fake. We already knew that it was created in the middle ages from carbon dating. 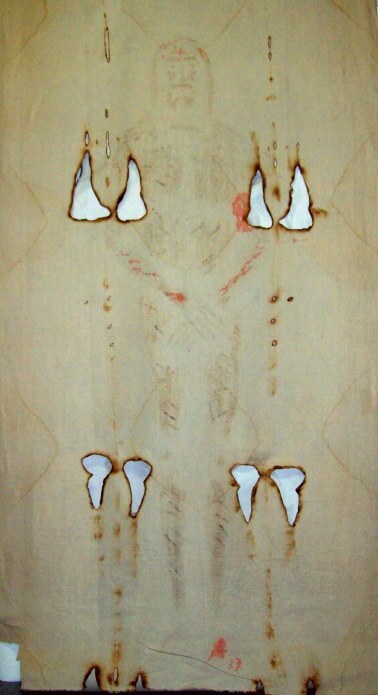 Now an Italian scientist has created another shroud with all the supposedly unexplainable properties of the original. All he did was use paint, bake it, and then wash the paint off. Easy as pie. Why did that take so long to do? I have no idea. But it's now settled. Besides, I thought the whole point of religion is that you're supposed to believe without proof. I think this scientist has done believers a favor by making the lack of proof even more complete. No more hanging on to this one as some kind of proof! Here are some images of the reproduction. Can you tell which is which? There's been a lot of irresponsible talk about the war in Afghanistan. Yes, I'm talking about General McChrystal again: this time about his critics. It's suddenly become improper for generals to talk about strategy. Strange. In fact, Professor Bruce Ackerman made some idiotic assertions in the Washington Post that the President should not be getting advice from his generals, because Goldwater-Nichols Act of 1986 names the Chairman of the Joint Chiefs as the president's principle advisor. He goes on to assert that General McChrystal has breached some kind of Constitutional obligation by talking about strategy. Let's make something clear. Generals are not Monks. There is no vow of silence imposed on military officers. We often tell our Marines that when dealing with the press they should stay in their pay grade*. That is, a private should feel free to talk about what a private knows and does, but shouldn't be talking about what a captain knows and does. The captain should talk about captain level stuff, and the general should talk about general level stuff. The level for a three starred general put in charge of a theater of war is pretty darned high. This man should be free to discuss anything about the war he wishes to discuss. As a military officer, he is obliged to stay out of politics, but not out of military matters. If the commander in chief makes a decision on how to fight the war and what policies to observe, the general's obligation is to follow his orders. But until decisions are made, the general is prefectly justified in discussing how to win a war. That this embarrasses the president is not the general's fault. Men are dying, a war is in danger of being lost, we've certainly lost headway. Obama has delayed sending regular replacements to the theater and has refused to make any decisions in the nearly year of his administration. The American people deserve to have generals that are interested in winning wars and in knowing how wars are won. We need generals that are motivated to control the enemy, and safeguard our own people. If Ackerman thinks that the President has reason to be embarrassed by the opinions, which are hardly radical, of his own general officer, then he should advise the president to make some decisions and get a handle on the situation. In a leadership void, someone else will lead. Must lead. B. Hussein cannot simply vote "present" anymore. For the first time in his life he has some responsibilities. That the responsibilities are so great is exactly what he wished for when he ran for office. Perhaps he thought that leadership and making decisions would be easy. * I'm pretty sure it would be illegal to regulate any speech to the press, privates should certainly be free, if unwise, to speak their minds on strategy to the press. William KamKwamba lives in Malawi, in a tiny village where there is nothing. But rather than accept that, he created something. He created a windmill from trash and discarded junk. He's a good engineer. What makes this even more interesting to me is the fact that someone is bringing him to the US or some other place to get a formal education. I'm very happy for him, and he should take advantage of everything he can get. But what does this mean to the rest of Malawi, to his family, to his village? After getting a modern education and becoming valuable to the modern world, why on Earth would or should he go back to living in a village that didn't otherwise have the brains or initiative to make windmills a long time ago? I'm very happy for him, but I wonder if the rest of the world will be modernized if the best and brightest are whisked away? It doesn't matter, I guess. I'd never want him to be stuck anywhere. And the people of Malawi now have an example to follow to escape their condition. I hope they do. I've been to other parts of Africa and their poverty is of their own making and ignorance. I just finished listening to this week's "Uncommon Knowlege" and the interview with Judge Laurence Silberman. "Uncommon Knowlege" is a very good series by Peter Robinson, where he interviews people very intelligently regarding politics from a much more interesting perspective than the typical leftist schlock on tv. In this week's interview I liked the discussion of the Second Amendment, but I was more fascinated by the final segment where Silberman gets thoroughly grilled regarding so-called "originalism." Silberman's arguement goes like this: An originalist properly takes not only the meaning of the Constitution and laws as originally written, but also as it has developed over the years. But what happens when decisions were wrongly decided? For instance, stare decisis holds that once a decision is made, it should not be looked at again. This is a fiction, of course, the law is filled with examples of judges deciding that past decisions are wrong. There is a classic formula addressed by Sandra O'Connor in Casey where a judge is to weigh whether to reject stare decisis. The problem with such formulas is that they are terribly subjective and judges are well known for shoe horning their opinions of an outcome into such pre-existing formulas. Silberman seems to personify that way of thinking. He thinks the purpose of an "originalist" is to "stand athwart efforts to decide cases in the future in the form of an evolving Constitution." The obvious problem is that this creates a certainty that the Constitution and our laws will continue to lurch only to the left and never be corrected. He gives the example of capital punishment. There are many progressive jurists who would dearly love to declare capital punishment unconstitutional. As the law stands now, this is not possible according to current theories of the "cruel and unusual punishment" clause of the Eighth Amendment. But the progressives have nothing in their philosophy from changing that interpretation. Once it is changed, "originalists" such as Silberman would refuse to correct that incorrect decision. It's a loser's game. Silberman even mocks so-called libertarians whom he characterizes as judicial activists in the other direction. Personally, I reject this loser mentality. Such a philosophy to hack back progressivist creep should be called "judicial correctivism." Roe and Casey should be overturned. The Commerce Clause should be again restricted, and the meaning of the Tenth Amendment should be restored. Why is B. Hussein fixated on bringing the Olympics to Chicago in 2016? He's ignoring his generals who are trying to get him to make a decision about how to wage a war in order to go to Copenhagen to debase himself and our nation by begging a bunch of corrupt people to name his adopted home town as the site for the Olympics. What if, as is likely, the Olympic Committee isn't impressed by The Won and chooses a different city for the Olympics? How will that make him – and us – look after he is snubbed? Why is he stooping so low? 1. His health care plans are getting a lot of attention from the population, and especially strong attention from people who normally don't bother reacting about politics. He's diverting attention from his attempts to nationalize the healthcare industry. The more people talk about Chicago and the Olympics, the less they talk about "death panels" and public options. 2. No Olympics City has ever made money. The only real reason to host the Olympics is to show off your city. And to grease local politicians' hands. B. Hussein has a lot of people that owe him favors or that he owes favors. His retribution against Blogojovech indicated to me that he is not finished with the petty power plays within that gangster-ridden city. 3. The year of these Olympics will be the last year of a second term if he gets one. If he succeeds in getting Chicago named as the host for the games, he will use this to trumpet his own name and use it for his own glorification. He will make it clear to the world that these would be the "O"-lympics. Never pass up an opportunity to glorify the dear leader. 4. There's a perverse sort of logic in diverting his attention away from Afghanistan, with the very predictable reaction from the opposing party that he is misplacing his priorities. Men are dying in foreign lands, and he's stiff arming his generals while schmoozing in Copenhagen. This helps him by magnifying interest in Afghanistan which otherwise was being ignored. Increased interest in Afghanistan is not important to him except that it detracts interest from his marxist takeover of healthcare. It's really a no-brainer that he do this, considering the type of man that he is – egomaniacal, hubristic, and venal. I'm not saying that he's a brilliant political tactician. He really doesn't seem to think above the level of bare knuckle city politics. He certainly doesn't have any interest in looking out for anyone but himself and his own boundless ego.